What seems to be happening, is tags are not being created and the page is not automatically generated. Maybe a master switch somewhere that allows new page creation? I just tried to replay that, but it look´s like it creates the page without any problem. Yes, it shows up in the list, but is not created, and cannot view it. Edit did you clear cache ?? Yes, and it seems that the tags for the page are not being automatically created. I just wanted someone to confirm this. Update: I just tried creating a new page with CMS on my styles test site, and same problem. No page really created, even though it's in the list of pages. 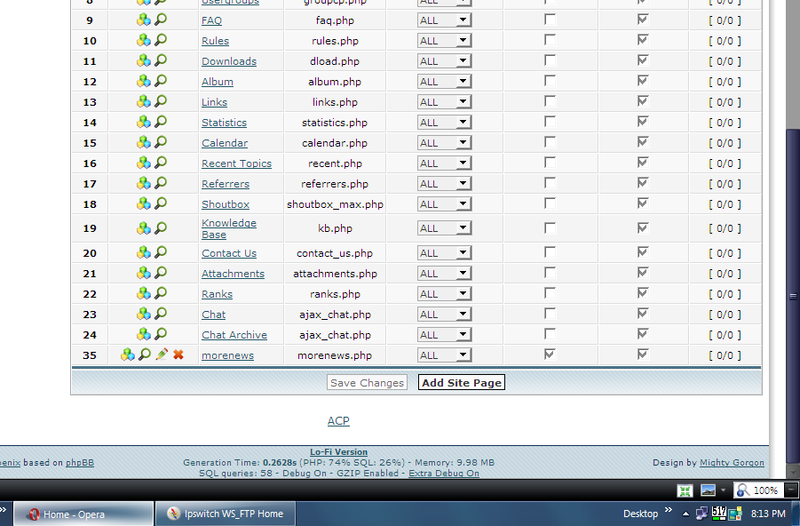 So, there is the same button, "create site page". You can create it from there. 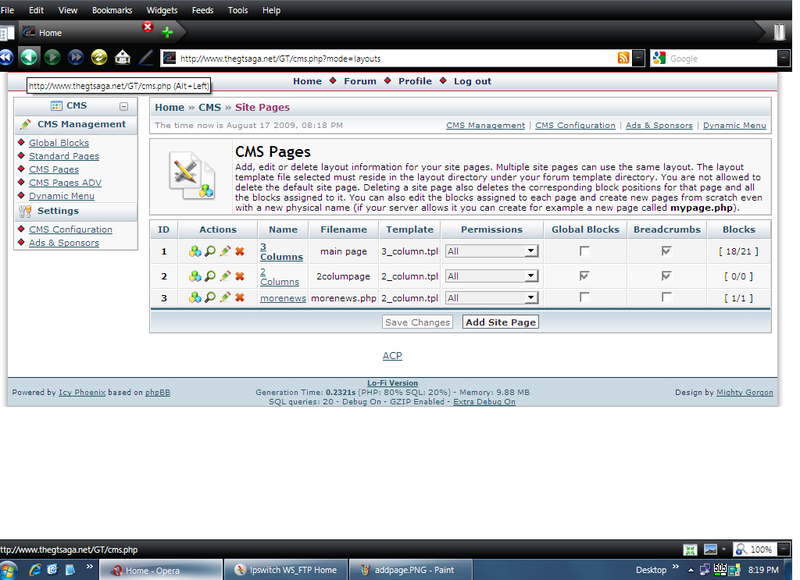 "CMS Pages" to create a new page. You choose the name and filename, the layout, then you can edit it as you wish. This is correct... Standard Pages are only meant if you want to add extra blocks and permissions on those pages that are not created using the CMS. Different CMS sections, different purposes... but we are lacking a full documentation on every feature. We need to build it from time to time. Is someone willing to explain the difference in a new topic so I can move it to Docs? I'll be happy to do that. I'll make it then you can take a look at it before it goes live. I had good luck also with creating a nice dynamic menu. That one takes a little more time, but well worth it. MG, you have done it again. I love IP more than ever now! Shall you vote for me?